Wheel Specs | Wheel Specialists, Inc. The distance from the extreme back edge of the rim to the mounting surface. 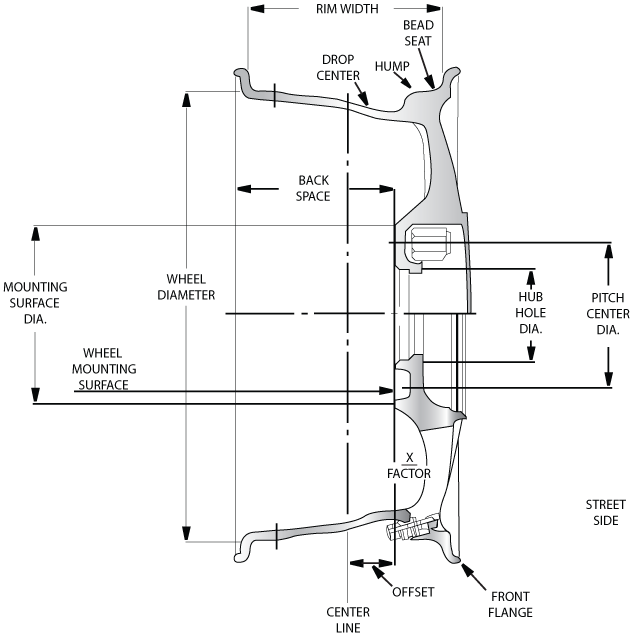 The distance from the centerline of the wheel to the face of the mounting surface of the wheel. BACKSPACE 3.25" 3.5" 3.75" 4" 4.25" 4.5" 4.75" 5" 5.25" 5.5" 5.75" 6" 6.25" 6.5" 6.75" 7" 7.25" 7.5" 7.75" 8" 8.25" 8.5" 8.75" 9" 9.25" 9.5"